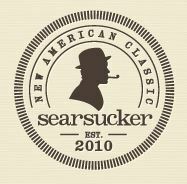 Searsucker serves New American Classic cuisine paired with cocktails and local brews. Location features a large outdoor patio, koi pond, fire pit, and back bar. Saturday, June 29, 10:00 a.m.
Sunday 4:30-6:30pm: $5 Stella Artois draft, $6 wine, $7 house infusions, $8 cocktails. Appetizers $5-$9. Monday 4:30-6:30pm: 4:30-6:30pm: $5 Stella Artois draft, $6 wine, $7 house infusions, $8 cocktails. Appetizers $5-$9. Tuesday 4:30-6:30pm: $5 Stella Artois draft, $6 wine, $7 house infusions, $8 cocktails. Appetizers $5-$9. Wednesday 4:30-close: $5 Stella Artois draft, $6 wine, $7 house infusions, $8 cocktails. Appetizers $5-$9. Thursday 4:30-6:30pm: $5 Stella Artois draft, $6 wine, $7 house infusions, $8 cocktails. Appetizers $5-$9. Friday 4:30-6:30pm: $5 Stella Artois draft, $6 wine, $7 house infusions, $8 cocktails. Appetizers $5-$9. Saturday 4:30-6:30pm: $5 Stella Artois draft, $6 wine, $7 house infusions, $8 cocktails. Appetizers $5-$9. Monday 4:30 p.m. to 9 p.m.
Wednesday 4:30 p.m. to 9 p.m.